Perhaps the most basic of these essential attitudes is realness or genuineness. When the facilitator [of learning] is a real person, being what she is, entering into a relationship with the learner without presenting a front or a facade, she is much more likely to be effective. This means that the feelings that she is experiencing are available to hear, available to her awareness, that she is able to live these feelings, be them, and able to communicate them if appropriate. It means that she comes into a direct personal encounter with the learner, meeting her on a person-to-person basis. It means that she is being herself, not denying herself. Seen from this point of view it is suggested that the teacher can be a real person in her relationship with her students. She can be enthusiastic, can be bored, can be interested in students, can be angry, can be sensitive and sympathetic. Because she accepts these feelings as her own, she has no need to impose them on her students. She can like or dislike a student product without implying that it is objectively good or bad or that the student is good or bad. She is simply expressing a feeling for the product, a feeling that exists within herself. Thus, she is a person to her students, not a faceless embodiment of a curricular requirement nor a sterile tube though which knowledge is passed from one generation to the next. I trust I am making it clear that to be real is not always easy, nor is it achieved all at once, but it is basic to the person who wants to become that revolutionary individual, a facilitator of learning. 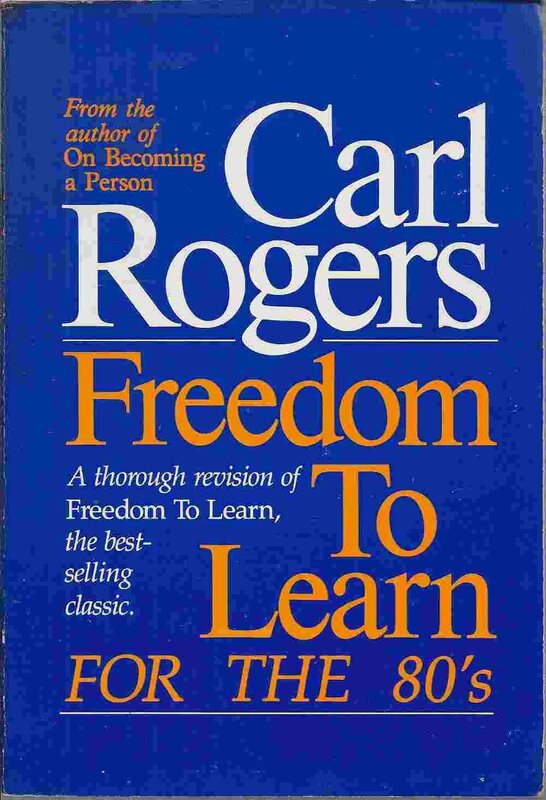 –Carl Rogers, Freedom to Learn, pp. 122-123.